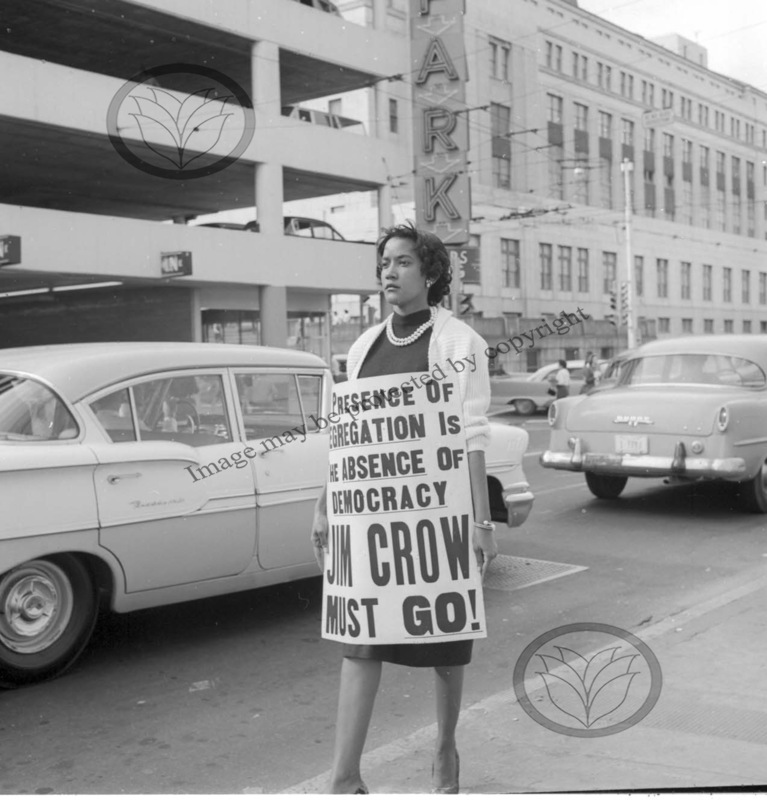 Sarah Howard walking a picket line in 1960. On February 5, 1960 Lonnie King, Joseph Pierce, and Julian Bond met at the Yates & Milton Drug Store in Atlanta, Georgia. Inspired by sit-ins conducted by students from North Carolina A & T in Greensboro, the three Morehouse College students agreed that similar demonstrations should be organized in Atlanta. They started recruiting others and arranged a meeting for that same day, inviting students from all of the schools of the Atlanta University Center: Atlanta University, the Interdenominational Theological Center and Clark, Morehouse, Morris Brown and Spelman Colleges. When the presidents of the Atlanta University Center schools learned about the organizing, they became concerned. They counseled the students not to demonstrate, but when it became obvious the students were dedicated to this course of action, the presidents encouraged them to postpone until a statement of their grievances could be written and published. Roslyn Pope (Spelman) wrote An Appeal for Human Rights, with contributions from Lonnie King, Julian Bond, Herschelle Sullivan (Spelman), Carolyn Long (Clark) and Morris Dillard (Morris Brown). It was approved and signed by a student leader from each of the schools. It laid plain the hearts and minds of the students, and promised targeted, direct, and nonviolent action to end segregation in Atlanta and push for equality and justice for African Americans. The students selected leaders and organized the Committee on Appeal for Human Rights (COAHR) to plan protest demonstrations and communicate their goals. Lonnie King and Herschelle Sullivan served as co-chairs. COAHR required participants to sign an oath of non-violence. People all over the nation were inspired by the Appeal and many wrote letters of support and sent donations to the students. Students in other cities adopted the Committee’s words to encourage their classmates toward their own protests. In Georgia, the Appeal caused a sensation. William Hartsfield, Mayor of Atlanta, was supportive of the students, calling the Appeal “a message of great importance to Atlanta” and praised nonviolent action. Governor Ernest Vandiver likened the Appeal to communism, calling it a “left-wing statement…calculated to breed dissatisfaction, discontent, discord and evil.” In an effort to pressure the presidents of the AUC schools to stop the students, Vandiver started investigations into the tax-exempt status of the schools. The students recognized that they would need the support from Atlanta's older, more established African American leadership. Under the guidance of Rev. William Holmes Borders, Sr., John H. Calhoun, Nina King Miller, and Q.V. 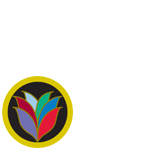 Williamson, the Student-Adult Liaison Committee (SALC) was formed. The SALC met every Wednesday at noon in the offices of the Atlanta Life Insurance Company, during which Lonnie King and Herschelle Sullivan would report to the adults on the activities of the students. Although the students were open to guidance and assistance from the adult leaders, the students maintained their autonomy in deciding and implementing the protest actions. Members of the SALC would sometimes join in the protests organized by the students.